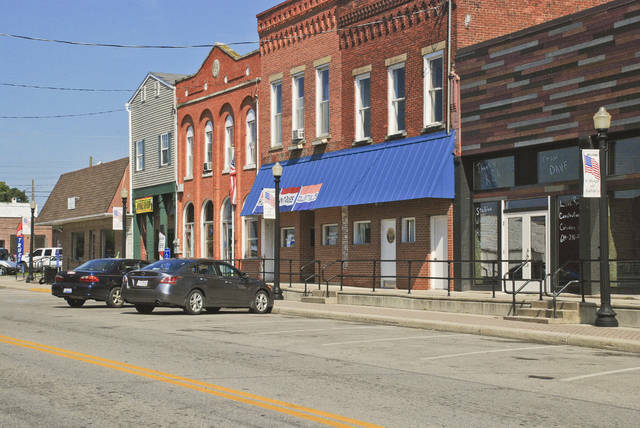 The residents and business leaders of Ashley are crossing their fingers to fill High Street with vendors for a Farmers Market being held from 9 a.m. to noon Saturday. Ashley business leaders are crossing their fingers in hopes to flood High Street with people for the Farmers Market that begins Saturday. Village officials have blocked off the village’s calendar for every Saturday until October for the market. The market will be open from 9 a.m. to noon. Nancy Hoopes, owner of the Dari Barn near the railroad tracks on East High Street, said she is vegetarian and would like to see a farmer’s market in the village. She said only one vendor attended the last farmer’s market held a couple of years ago in the village. Hoopes said she would “like to see fresh vegetables” in the market since there isn’t a grocery store in Ashley. Rachel Smith of Mobile Cycle Works Inc. on High Street, said she hopes there is a good turnout for the market. Smith said the people of Ashley have been very supportive of the motorcycle shop since it opened in 2000. “The community has had nothing but words of praise for the improvements to the old buildings downtown,” she said. Smith said the owner of the building is her father-in-law, John Schumacher, the owner of the Mobile Cycle Works Inc. She said Schumacher has taken the building back to the bare brick look of the 1940s when it was built. According to Smith, the old building the motorcycle shop is located in used to be Ashley’s hardware store. “I love farmer’s markets myself,” said Joey Haught of Rotary Products on High Street. Haught said he isn’t from Ashley, but hopes it does bring more people to the downtown. • Powell Chamber Farmers Market — Open May 13 to Oct. 28, Saturday mornings 9 a.m. to noon. • Main Street Delaware Farmers’ Market — Open May 27 to Oct. 28, Wednesday 3 to 6 p.m., Saturday 9:30 a.m. to 12:30 p.m.
• Sunbury Farmers’ Market — Open May to October, Saturday 9 a.m. to noon. This entry was tagged Ashley, delaware county, Farmer Market. Bookmark the permalink.